On Friday, Fitbit (NYSE:FIT) quietly released what is expected to be one of the most important products in its lineup. 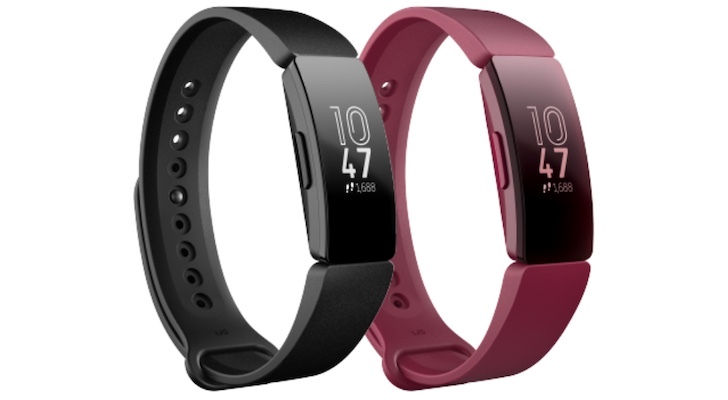 The Fitbit Inspire is a basic activity tracker bracelet (also available as a clip), and the company’s cheapest device. But you can’t buy one. The new Fitbit Inspire is available only to employees of companies that sign up for a plan with Fitbit Health Solutions. With Fitbit and rival Apple (NASDAQ:AAPL) fighting to get corporate clients to subsidize their health and fitness trackers, the Inspire is the most important product for Fitbit stock since the release of the Versa smartwatch. The new Fitbit Ionic is nothing like the products the company has released recently. It’s a basic fitness and activity tracker. It can count steps, track sleep, show calories burned and remind wearers to get up and move. Step up to the Inspire HR, and heart rate tracking and GPS are added. This is a basic, plastic device with a silicone band, also offered as a clip-on. No fancy color display, no premium metal enclosure, and no designer bands. The closest it comes to anything resembling smartwatch functionality is the ability to display smartphone notifications. The approach is similar to one of the cheap Xiaomi fitness trackers that has been eating the low end of the market for the past several years. Fitbit confirmed to CNBC that the Inspire is its least expensive device yet. The company didn’t give the actual price, but since it currently sells the Zip tracker for $59.95, that means the Inspire would go for under $60. It was the release of its own smartwatch — the Versa — that’s credited with helping to arrest the free fall that Fitbit stock had been in. A pivot to smartwatches that can compete with the Apple Watch also helped FIT post its first profit in two years last October. However, Fitbit’s CEO told CNBC that his company’s success will be increasingly tied to business customers instead of consumers. The Apple Watch is relentlessly improving, the center of an expanding market of third-party bands, with a wide range of apps available. And it’s backed by Apple’s huge marketing budget. Meanwhile, Xiaomi continues to churn out cheap fitness trackers that offer the same capabilities as Fitbit models at a fraction of the price. In other words, despite a quarter where the company was finally able to eke out a tiny profit, Fitbit remains stuck between a rock and a hard place when it comes to the consumer market. However, both Fitbit and Apple have found that there’s a huge potential market in selling health and fitness devices directly to corporations and health insurance companies. These are corporate customers that have a direct interest in having their members (whether they are employees or individuals covered under a plan) remain as active and healthy as possible. AAPL is increasingly looking to this market as a potential gold mine for the Apple Watch and its advanced health features. However, not every company or insurance plan is willing to subsidize the cost of such an expensive device. That leaves a big opening for Fitbit, and the company told CNBC that it currently has 6.8 million customers using its devices through various corporate, medical or insurance wellness programs. The new Fitbit Inspire is designed to make signing up through Fitbit Health Solutions an attractive prospect, even for companies with tight budgets. With the Versa smartwatch, Fitbit was finally able to stage the start of a turnaround. However, with Fitbit stock still trading down over 85% from the highs the company hit in 2015, there is plenty of room for that recovery to continue. And with the new Fitbit Inspire, the company is banking on corporate clients and volume purchases to help get it there. Article printed from InvestorPlace Media, https://investorplace.com/2019/02/cant-buy-fitbit-inspire-fit-important-release-fimg/.